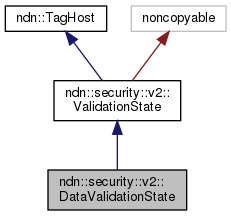 Validation state for a data packet. Definition at line 158 of file validation-state.hpp. Create validation state for data. Definition at line 88 of file validation-state.cpp. Definition at line 99 of file validation-state.cpp. Definition at line 132 of file validation-state.cpp. Definition at line 141 of file validation-state.cpp.